Time for a cuppa? Then why not pop along to the Trinity Resource Centre between 1pm and 3pm on Tuesday 5th March, enjoy a cup of something hot and probably something delicious to go with it! 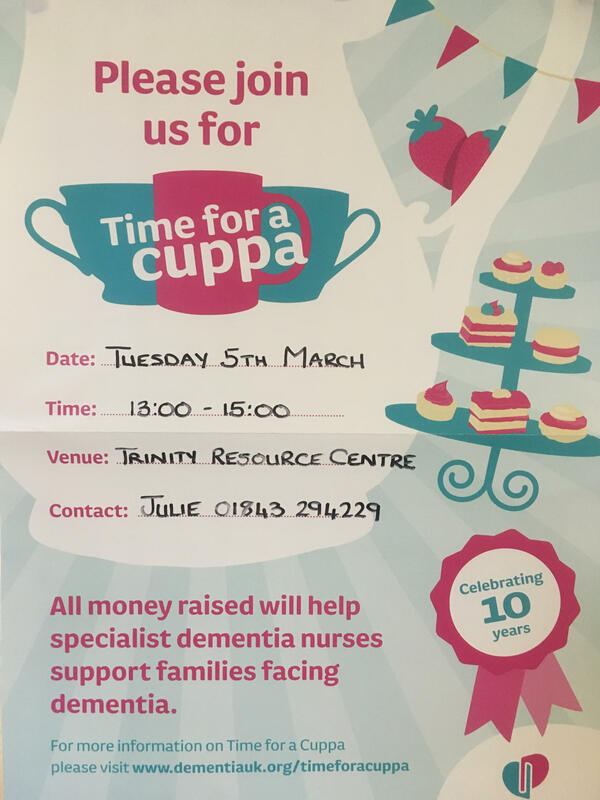 All money raised will be donated to help the Admiral Nurse, who is a specialist dementia nurse, who supports families facing dementia. See you there for a cuppa!